WOW! This Outstanding Fully Furnished PLATINUM Rated 3 bed/ 2 bath condo in the ever popular, Guard Gated Bahama Bay Resort is ready and waiting for you! As you enter you will be embraced by the relaxing Florida Vacation feel created by the Key West decor throughout. Updated furnishings and carpet reflect the pride of ownership; from the Living Room, Dining Area and Kitchen; into the King Master Suite off the living area and Queen and Twin Bedrooms off the foyer you will find all of the comforts of home. Amazing Amenities are in Abundance! 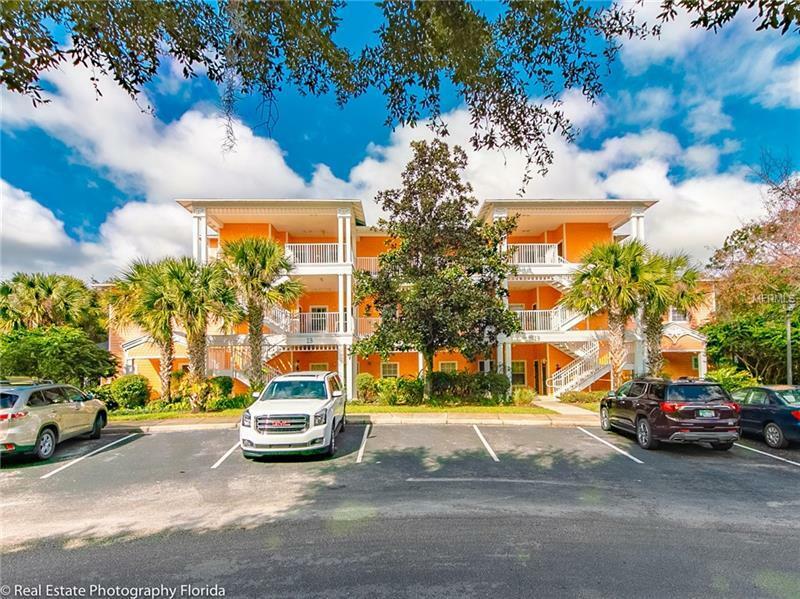 Clubhouse, Restaurants, Numerous Swimming Pools, Spa, Fitness Center, Tennis and Basketball Courts, Volley Ball on the Sandy Beach Lakeside with Tiki Hut located conveniently close by, Playgrounds, Fishing Dock and more to be enjoyed. This condo is in the Wyndham Vacation Rental Program. TOTALLY TURNKEY! Bahama Bay Homeowner Association includes all of these amenities plus Cable TV service and Resort Wide Wireless Internet, Landscaping, 24-hour Gated Security, and Water/Sewer/Garbage. Located minutes from DISNEY and all the other Famous Attractions that have made this area the #1 Vacation Capital of the World. Priced Right and Ready for YOU!